My sisters warned me that it would happen like clockwork: a day will come in your twenties, when you will stare at the door of your refrigerator and find it cluttered with countless wedding invites – and they were right. In a span of two weeks, I found myself committed to seven black tie weddings all in one summer. When I decided to meet up with an old college friend over drinks, we naturally found ourselves commiserating over the growing pile of invitations on our fridges, and the dwindling selection of contemporary cocktail dress options out there. Something needed to be done (hint: we founded Mestiza to fill this white space!). The friend in question was of course, my future business partner and Mestiza’s CEO, Louisa Rechter. It was that very night over drinks downtown that we were both hit with the entrepreneurial bug. Feeling tipsy and inspired, we made the decision then and there to name our hypothetical company Mestiza New York, Mestiza meaning a woman of mixed ancestry: a brand that celebrated our shared Filipino-American heritage; a brand inspired by the glamorous photographs of our mothers and grandmothers in the Philippines during the 60’s. The phrases “vintage wanderlust”, “ornate embellishments”, “gilt details”, and “bold silhouettes” all came to mind. Those first few months Louisa and I lead double lives, dreaming up our collection after hours and on weekends, devising a plan of attack and gathering up enough courage to quit our day jobs and dive-in head first. Like any company in its infancy, we started small: seven trunk shows for friends and family, a small collection launched on a very crude online store, and a twelve piece capsule presented at an indie tradeshow called Brand Assembly – all a sequence of tiny steps that led us to landing a dream partnership with Neiman Marcus on our third season. Looking back at those first 3 seasons of Mestiza, it all blends together: a bunch of muddled memories of late night design brainstorms, afternoons schlepping around the garment district, cold calling random stores in the feeble hope they would pick up our little collection. It was a hustle for sure. Everything came back into focus the day we sprinkled a little bit of fairy dust on our digital SS17 look book (a nifty little shoot we did on a 3K budget), said a little prayer, and hit “send” on a buyer list of over 3,000 emails. 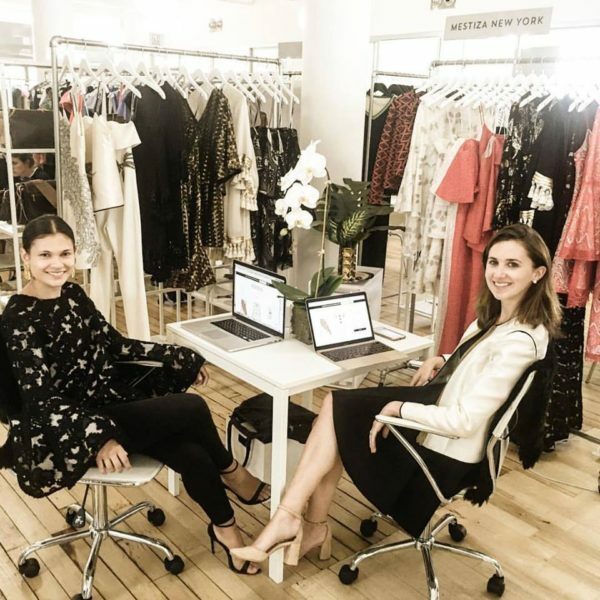 The fairy dust (or prayer) must have worked because our look book magically drifted into the inbox of the dress collection buyer of Neiman Marcus, and she happened to like what she saw. She had a last minute cancellation in her schedule for her trip to NYC and decided to come meet us – it was one of those moments when the stars aligned. In 24 hours, we frenetically pulled together the collection from our pattern maker and factory and presented her the line. What we thought was an exploratory meeting ended up being the biggest order we had seen up to that point, and we were off to the races. The excitement and fear of starting your own company is palpable. It is even more so with two very naïve founders who knew nothing about designing clothes or running a company. Everything about Mestiza was trial by fire and uncertain, except for two fundamental principles: the first being that we wanted to create beautiful dresses inspired by our shared Filipino-American heritage, and the second being that at its core we would have a brand that had socially impactful values. After a trip to the Philippines over the holidays, my mother, who is a longtime philanthropist, introduced us the perfect partnership: The Habi Philippine Textile Council. They are an amazing organization based in Manila whose mission is to sustain the Philippine cotton industry, as well as support female textile weavers in the nation. Along with annual donations to the organization, we also integrate their hand woven fabrics into our collection each season and sell them exclusively on our website. 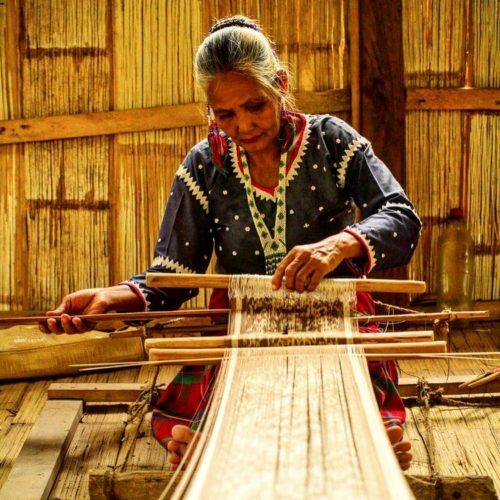 The women of Habi come from different regions of the Philippines to congregate under open-aired huts and weave fabrics with their traditional techniques. We give them minimal creative direction and a flexible production schedule, as we want the textiles to reflect the authenticity of their culture. Not only are the fabrications beautiful, but each Mestiza x Habi piece also helps to sustain the Philippine cotton farming industry, providing a steady paycheck for women, and keep a centuries-old artisanal craft alive for us to admire. This is still just the beginning. The highs and lows of sustaining a fashion company in a retail market that’s less than stellar are daunting. There are days when Louisa and I want nothing more than to fast forward the next few years to when Mestiza is a supernova brand with serious star power. But the inevitable growing pains of building something impactful still exist, and the imminent climb to reach a household name status still hovers over our heads. I think the successes we’ve had so far are attributed to our mutual passion, drive, and ambition to make beautiful things and we have a vision for the brand that has not wavered since day one. I have no doubt that the next few years will be equal parts exciting, terrifying, and stressful, but I think we have a fair shot with just the right amount of hard work and of course, a little bit of fairy dust. 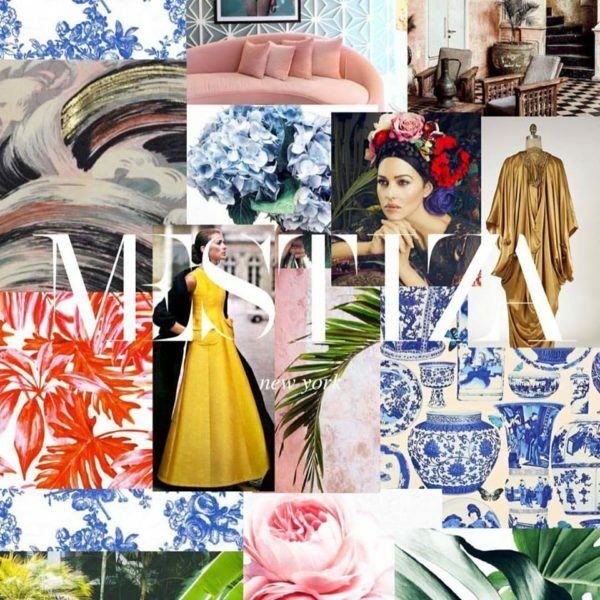 MESTIZA NEW YORK was created and inspired by a shared Philippine-American heritage between co-founders Alessandra Perez-Rubio and Louisa Rechter. Under the creative direction of Alessandra, the collection offers show-stopping styles characterized by gilt details, unexpected textures and bold necklines. Each piece is designed with a nod to vintage wanderlust; from Spanish Matador brocades, 1960’s bell sleeves and Filipino Colonial silhouettes. In just their third season, MESTIZA NEW YORK is now available at Neiman Marcus and on NeimanMarcus.com along with Bhldn.com and specialty boutiques Two Skirts, Julian Gold and more. The collection has also been spotted on the red carpet on chic fans including Chrissy Teigen, Ashley Graham, Kate Walsh, America Ferrera and Molly Sims.